Free Game of Thrones Colouring Book | FreebieFinder UK | Freebies, Samples, & Other Free Stuff. 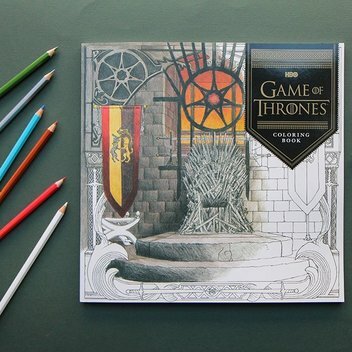 There are some awesome Game of Thrones Colouring books and coloring pages available at no cost. There’s a wide range of choices for you to choose from, including banners, characters, and house graphics. This was posted 2 months ago 21st January 2019 and expires in 6 months 31st October 2019. Make your way to the Game of Thrones Coloring Book website to choose your coloring book pages and download and color them for free.